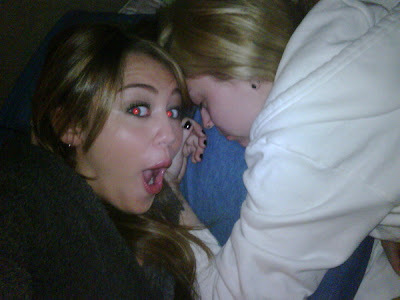 Miley Cyrus added a Twitter photo that shows Miley "stalking" her sister Brandi while she was sleeping (top). The caption said, Stalking brandi while she sleeps.... Again! People thought Miley was being "rude" when she added the "stalking" photo, so she added another one (bottom). The caption to the new photo bottom said, See I'm not mean! Brandi took a pic ( the worst ever) of me sleeping. 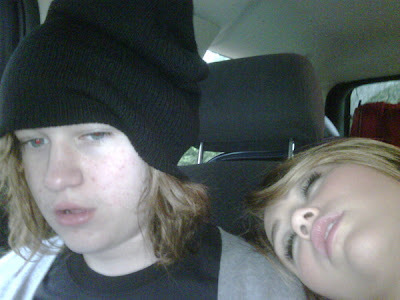 Miley's younger brother Braison is also in the picture.